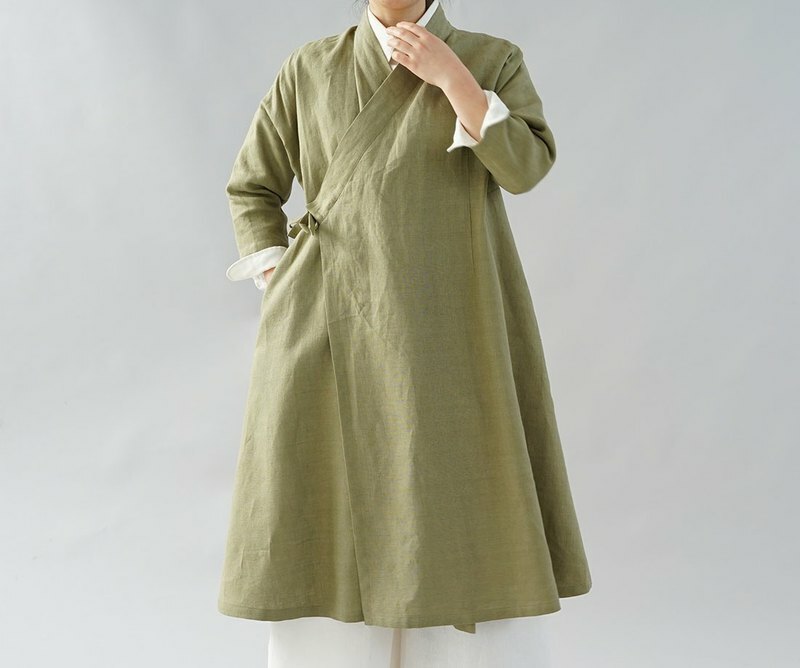 Long linen coat featuring kimono collar and long sleeve. Fastening in the front. It makes you feel peaceful.